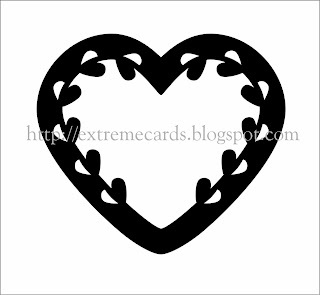 The inspiration for this heart frame came from the half positive/half negative hearts on a shadow cut template by Richilieu. I have given you loads of options with this file. You can back the cut-out with contrasting paper, a photo, or both. 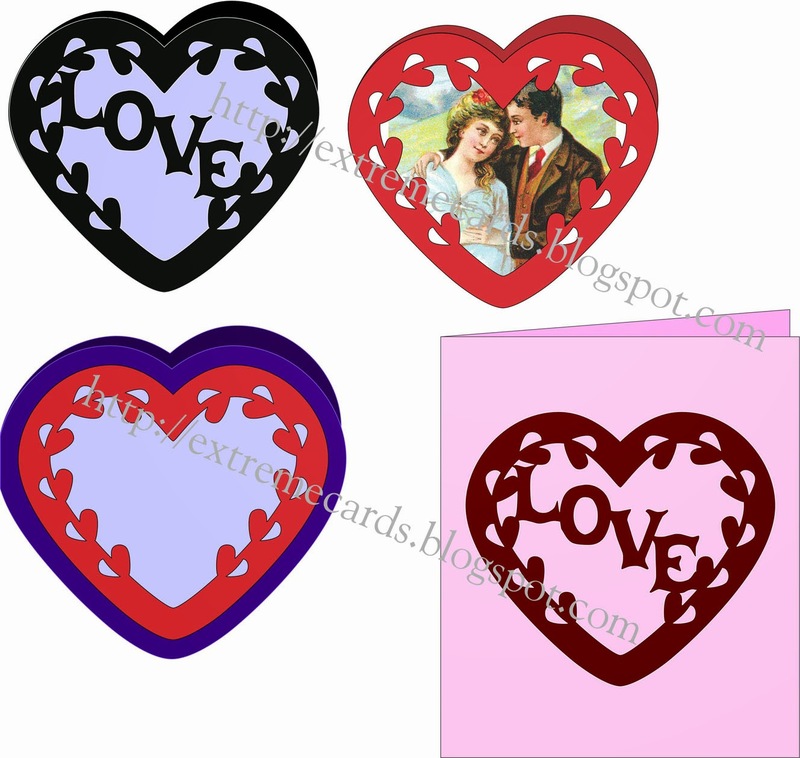 You can make it as a heart shaped card, with or without a contrasting outside border. You can cut the design and adhere it to a card front. You can swap out the "LOVE" text for other words, or your names. On the larger card front you can cut out the center, or leave it in place. Download file set: Silhouette Studio, DXF, PDF, SVG.